Locata Corporation has announced that U.S. Air Force (USAF) veteran Paul Benshoof, formerly chief of strategic development at the 746th Test Squadron (746TS) at Holloman Air Force Base, New Mexico, has joined the company as global business development manager for military and government applications in the United States and abroad. This team expansion helps prepare the company to meet growing global demand for GNSS backup for critical government, civilian and commercial infrastructure. 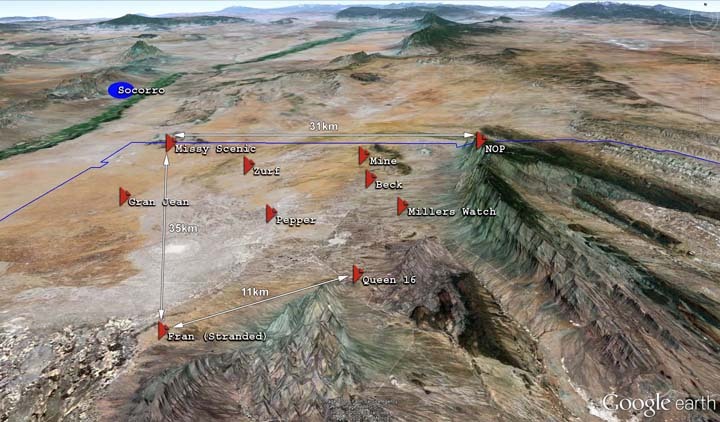 Benshoof, who witnessed the success of Locata’s precision positioning in GPS-denied environments during USAF LocataNet development at White Sands Missile Range, will set and execute the company’s worldwide defense sales initiatives. Last week September 7, 2012), the USAF granted Locata a multi-year contract to install a LocataNet over a vast 2,500 square mile (6,500 square kilometer) area of the White Sands Missile Range. The LocataNet has been described as the key component for the realization of the USAF’s new "gold standard" military-grade reference system required to test and evaluate future navigation and guidance systems for the U.S. Department of Defense (DoD) when GPS signals are jammed or unavailable. Near universal reliance on GNSS for a broad range of critical positioning and navigation requirements in military, civilian government, and commercial applications — despite the fact that GNSS satellite signals can be blocked, jammed, spoofed or unavailable — is driving increasing demand for alternative positioning solutions, according to the company. Locata’s terrestrial technology locally replicates GPS precise positioning on the ground and provides a back-up to GNSS across any area where satellite-based signals aren’t reliable. Many modern applications (such as machine automation, military operations in GPS-jammed areas, and positioning in environments such as campuses, ports, downtown "urban canyons," open-cut mines, warehouses, and malls) require alternatives to GNSS to ensure robust positioning capability. Locata currently has 94 granted patents and more than 100 additional patent applications in process to protect their innovations. "It’s an honor to have Mr. Benshoof join our team," said Nunzio Gambale, CEO and co-founder of Locata. "Paul’s caliber of GPS expertise and firsthand experience with military and government positioning requirements will be instrumental in helping grow our business in this sector. I’ve known and worked with him and his USAF team since 2005, so he’s seen Locata’s groundbreaking technology in action. The fact he has now chosen to join our company is a tribute to the importance of our emerging technology." 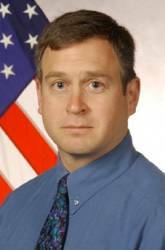 Benshoof began his 22 years in GPS as the project manager responsible for development and procurement of the precise lightweight GPS receiver (PLGR) — the DoD’s first secure handheld GPS receiver, manufactured by Rockwell Collins. He then devoted his technical prowess to developing navigation warfare (NAVWAR) test assets to support advanced technology demonstrations in GPS-denied environments, as well as supervising international test programs for NATO and allied forces. As GPS testing became increasingly important, he formed and directed the GPS Test Center of Expertise headquartered at Holloman Air Force Base, New Mexico, a consortium of U.S. test agencies dedicated to GPS test and evaluation. Benshoof also chaired an international working group that helped standardize GPS test practices among 11 participating countries. 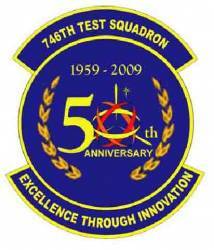 Ultimately, he was selected to implement and lead the 746th’s Test Squadron’s strategic development activity that worked with commercial and military GPS industry to identify guidance, navigation, and NAVWAR testing shortfalls, and then managed developmental programs to fill technical capability gaps. "I’m excited to join a company that has done what no one thought was possible," said Benshoof. "While other companies have attempted to replicate GPS without satellites, Locata is the first to succeed. Just as the early days of GPS were sparked by groundbreaking military applications, Locata has followed this same evolutionary path, yet much more rapidly. I’m honored to be a part of the team bringing essential GPS backup to the countless nations, organizations and partners that need it."